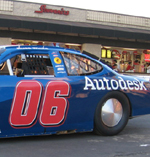 Chris Diederich and the PTP team displayed the Autodesk Stock Car at the Irwindale Speedway during the Lucas Oil Super Late Model race on Saturday night. 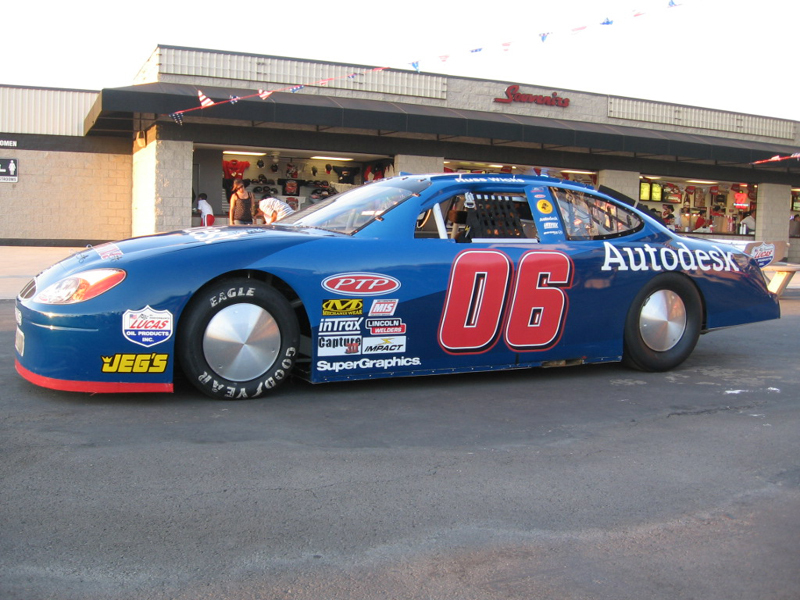 Irwindale Speedway is Los Angeles' Half-Mile Super Speedway. 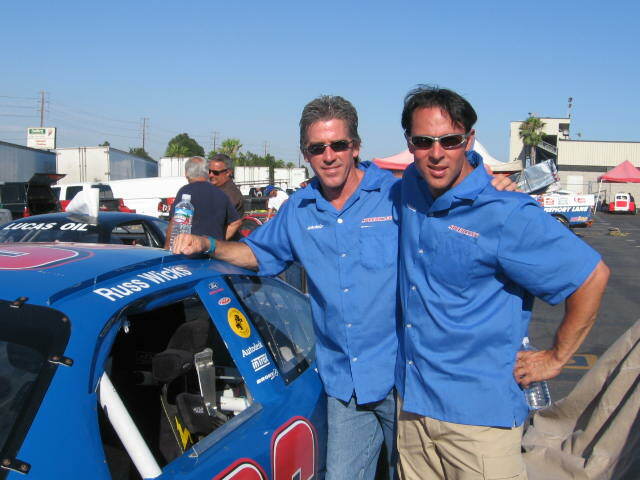 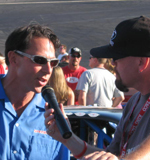 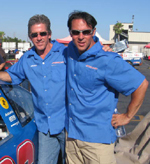 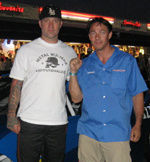 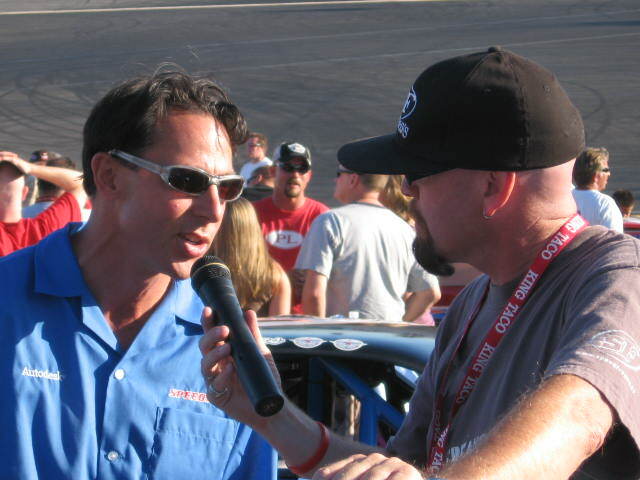 Lugg Nuttz from the Speedfreaks show interviewed World Speed Record Holder Russ Wicks. 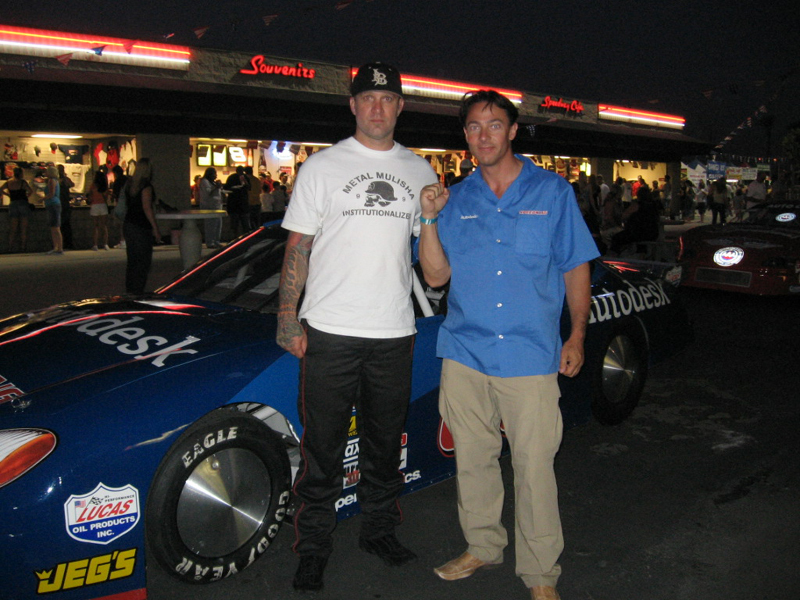 Monster Garage's Jesse James was also there racing his Figure 8 car, and he stopped by to say how awesome the Autodesk Stock Car sounded.